The Mediterranean Mosaic collection is a beautiful range that pays homage to the relaxed aesthetic of European interiors. The block prints and holiday-inspired palette recreates mosaics and attempts to emulate Mediterranean tiles. 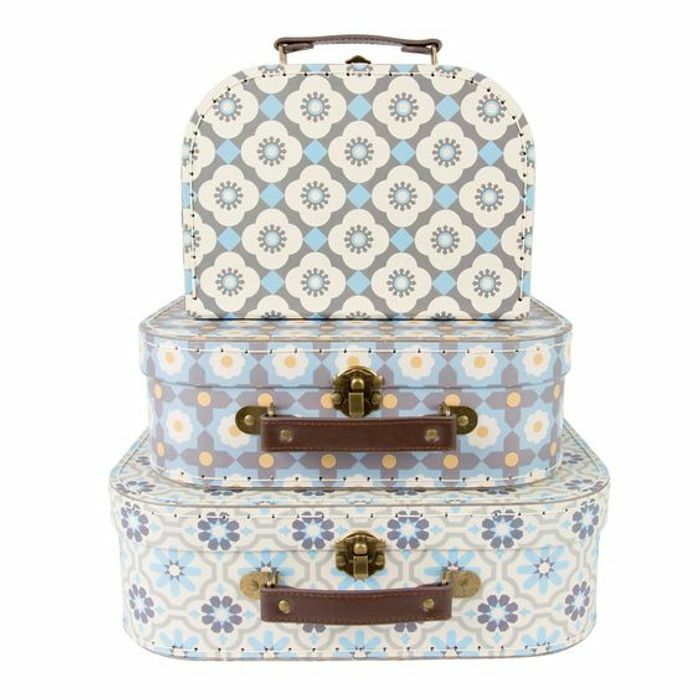 As this set of three suitcases stack, you can now get playful, mixing and matching the patterns to create your own individuality. A useful homeware item, that not only decorates the home, but also acts as a functional storage solution.